Rig using gas-charged unit conversion. 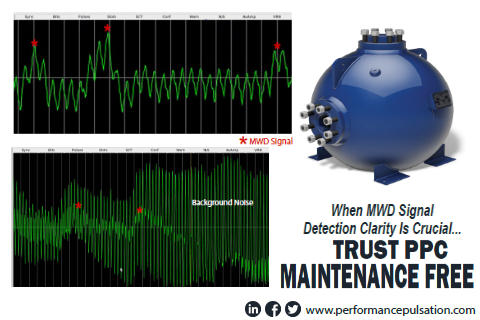 MWD Signal is buried in the fluid pulse noise. Operating pressure 3,900 psi. PPC DR Maintenance Free Dampener - clean and easy MWD signal detection! Operating pressure 4,400 psi.